Your CTAs (calls-to-action) are the "small hinge" that "swings a big door" when it comes to online marketing and conversion optimization. Getting your visitors to click on the CTA is the key to completing a conversion event and meeting the business objective of a landing page or a piece of content. What can you do to maximize the power of this "small hinge?" Since visitors are already engaging with the content when they encounter the CTA, you want to guarantee that the call-to-action is associated with the information on the page. Use content to frame your CTA, highlight its relevance, and provide context to deliver a consistent user experience that will increase conversion. Attract visitors' attention and get more clicks by making the CTA pop, e.g., utilize a contrasting color so it stands out from the rest of the page. You can also capture attention by using a larger graphic (e.g., a banner) with eye-catching design and colors. Use the CTA's copy to highlight how the offer relates to your audience's challenges or desired outcome while ensuring it stays short and sweet. For example, on a landing page optimized to rank for certain keywords, the CTA copy should correlate to the key terms used to drive traffic to that page. If you're promoting a lead magnet on a landing page, the CTA should be placed as close to the top as possible (above the fold) to make sure it captures your visitors' attention and elicit action. When placing a CTA within a piece of content, you'd want the visitors to read through enough of the content for you to build trust. At the same time, the CTA should be placed high enough on the page so it captures most visitors before they click off. You can use heat maps to analyze where most users drop off and place the CTA above that point. If you want your audience to get excited about taking action, your CTA needs to communicate more enthusiasm than the same ol' "submit" or "enter." Start the CTA with a strong command verb to prompt action. For example, an eCommerce site can use "buy," "shop," or "order." When promoting a lead magnet (e.g., a whitepaper,) you can use "download" or "get." A software company offering a demo can try "request" or "schedule." 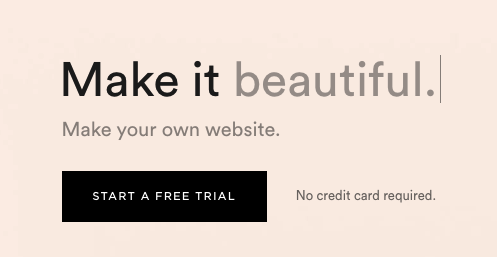 If you're using a button for your CTA, make sure the graphic treatment clearly communicates what you expect the visitors to do. This sounds like a no-brainer but people expect a button to look like a... button! You can still get creative with the button design by testing out different colors and shapes so it stands out and attracts more clicks. Visitors using different devices often behave differently. Those on desktop or tablets tend be doing research while those using mobile devices often gravitate towards "instant gratifications." In addition, take the mobile user experience into account when placing your CTA because smartphone users often don't have the patience to scroll forever to look for a button or a link. Place the CTA further up on the page and include mobile-specific features such as tap-to-call to increase conversion rate. Nobody wants to miss out. Adding urgency to your copy can encourage visitors to respond to the CTA. For example, phrases like "limited time" or "until [ date ]" can prompt visitors to take action. Even words like "now" or "today" can communicate a subtle sense of urgency that will get you more clicks. You can't expect visitors to respond to a CTA if they can't read the text! When you create a graphic (e.g., banner or button) for the CTA, make sure that the text appears clearly on a variety of devices as it may scale differently. This is another reason to keep the copy on the CTA succinct so you can use larger fonts to make sure it's legible even on smaller screens. If there are other buttons or CTAs on the page, use visual hierarchy to draw attention to the primary CTA. For example, use a bold and contrasting color, make the button larger, or leverage a prominent placement to draw attention to the most important CTA on the page. Remind your visitors why they should click the CTA by incorporating the value proposition in the copy. In addition, it's often more effective to use first person speech, which was found to increase clicks by as much as 90%! "Get my FREE ebook" or "I want the secret to clear skin now!" are just a couple of examples. In some situations, you may need an extra sentence or two to explain the offer or alleviate visitors' anxiety about taking the action. However, when presented with too many choices, most people suffer from the paradox of choice. Some may even leave your site without taking any action! Narrow down the choices by emphasizing one CTA (e.g., the ideal user path you want visitors to take) to make the choice obvious for the visitors. Most people in the Western culture read from top to bottom and left to right. The narrative on a landing page should work with this flow so the CTA is placed where the visitors are logically ready to take action. For example, most people read in a Z-pattern and CTAs at the bottom right tend to outperform other placements. When there's too much information packed closely together, your visitors can get distracted or they may just glaze over without even noticing the CTA. Make sure you have a good amount of white space around your CTA button so it stands out and captures users' attention. There are many ways to fine-tune your CTAs and optimize them for your audience. 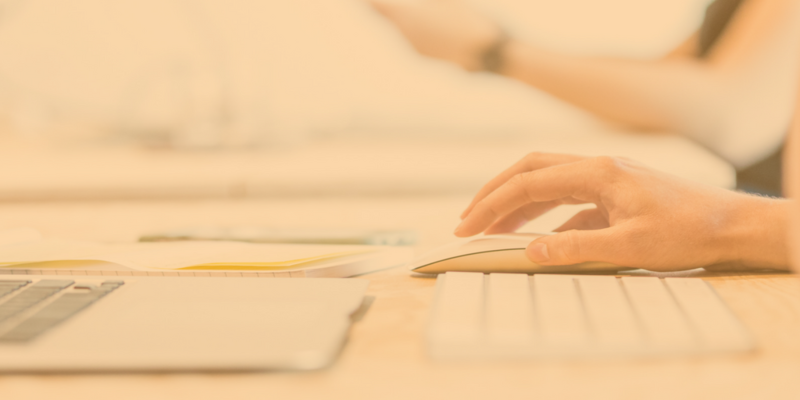 There's no one-size-fits-all answer to what the most effective CTA should look like. For example, tactics that work for B2C brands may not work for B2B companies. A/B test the changes and analyze your results to find the best copy and visual treatment that work for your visitors. In addition, use this as an opportunity to understand your audience's behaviors so you can apply the insights to the rest of your website design.